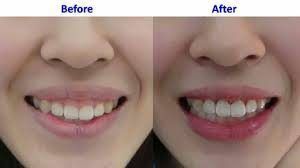 Gum Recontouring in Islamabad is an effective technique of treating asymmetric gum tissue and enhancing your gums appearance. Your smile may be less attractive or distorted by your gums, either they are too high or low on your teeth. Even if you take good care of your teeth, could suffer asymmetrical gum tissue problem. It could make you self-conscious, embarrassed or reluctant to smile or laugh. 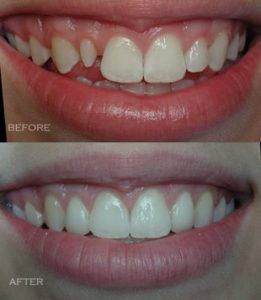 If you want a permanent cure of your asymmetrical gum tissue then you can consider Gum Recontouring in Islamabad. Gum Recountouring is also known as gum lifting, gum reshaping or gum sculpting. 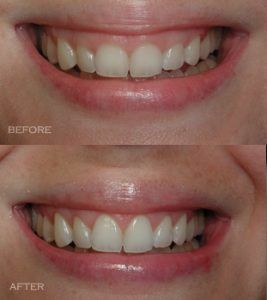 And in other words, Gum Recontouring is the procedure that helps you to get rid of “gummy smile”. What are the Objectives of Gum Recontouring? It will help you in creating a more even gum line. It will remove your extra or excessive gum tissue. It will also enhance the look of your gums. It will cure your dental and gum issues. Who are the Perfect Candidates to get Gum Recontouring? If you want to create your more even gum line. If you want a painless gum recontouring procedure. If you want to remove your excessive or extra gum tissue. If you want to enhance the appearance of your gums. If you want permanent, guaranteed and natural results. If you want a gum treatment with quick healing and recovery process. If you want to undergo a gum recontouring treatment with no side effects and complications. How the Gum Recontouring treatment is performed? First of all, the dentist will remove your excessive gum tissue by using laser to smoothen out your uneven gum line. The focused and precise laser waves will help you in recontouring your gum, without damaging your nearby or surrounding teeth and gums. You don’t have to worry about the pain, because the Gum Recontouring in Islamabad is painless and you won’t have to suffer bleeding, swelling and post-operative pain. You will have to avoid taking aspirin and blood-thinner or un-prescribed painkillers, because it may lead to bleeding. You will also be prescribed to eat soft foods for couple of days. Like yogurt, pasta, ice cream, cheese and softened or boiled vegetables. Don’t eat spicy foods and fruits with seeds. You also have to be very cautious regarding your oral hygiene and try not to irritate your gums. If you encounter or face any unusual oral issue then immediately consult the dentist. Take prescribed medications carefully and according to the dentist’s instructions. It will provide you the long lasting, guaranteed and promising results. It will deliver the natural results. 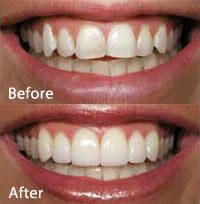 Gum Recontouring in Islamabad is a safe and effective procedure. If you have extra tissue then it will help you in removing it. It will also help you in making your smile more appealing and gorgeous. Gum Recontouring is effective and safe procedure. If you want to permanently treat your asymmetric gum tissue and also want to enhance the look of your gums to make your smile more appealing and gorgeous then, feel free to consult the Royal Cosmetic Surgery to consider Gum Recontouring in Islamabad.